Houston, the nation’s fifth most populous city, is widely known for having a strong business community. More and more people relocate there in order to take advantage of the job opportunities the region provides. Not surprisingly, Houston is home to many SEO companies that offer a variety of services which clients can use to become more visible in relevant searches. We employed our process-oriented methodology to review and rank the top Houston SEO companies to help you make a more informed decision and choose the right one for your business. Continue reading to find out which one ranked best. 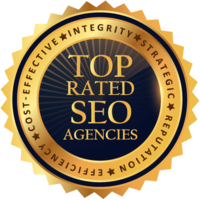 TopSpot is a top SEO agency in Houston, specializing in providing comprehensive online marketing solutions to help clients reach their business goals. Its innovative, results-driven strategies and its accountability, transparency, and consistency are some of this Houston-based company’s core traits. Repeatedly recognized as the best SEO company in Houston, Adhere Creative implements marketing campaigns that drive actions and designs that help clients build their brand. The team of professionals always stays on top of their game, working towards taking brands to the next level. Since 2009, triHead provides excellent digital marketing services at a low rate. They are transparent, consistent and experts in web design and internet marketing. Their portfolio spans across many different industries from wholesale to retail to auto glass repair and replacement. Anytime Digital Marketing is a Houston based internet marketing and advertising agency that helps clients in key areas. They help you plan ad campaigns and strategies that generate growth results towards their bottom line. With the very latest in cutting-edge technology, Sociosquares’s services include a leading social media brand advocacy platform - SocioAdvocacy, and an artificial intelligence based search engine optimization tool - SERA. Bizopia provides your business with the right solutions for your search engine marketing needs. They help you build your business by driving targeted traffic to increase sales from your website. Website solutions range from custom website design to fully managed SEO. Authority Solutions is a leading SEO company in Houston that offers the most accurate solutions, specifically designed to enhance your business growth. Without false promises, Authority Solutions’s team implements an individualized approach and ensures regular progress updates. This full-service marketing agency is focused on growing clients’ brands and enabling them to operate more effectively, acquire loyal customers, grow the business, and raise venture capital. Combining excellent design, hustle, and transparency, BERK has it all. Marketing Refresh offers comprehensive digital marketing strategies that drive targeted leads to your business. Thanks to the experienced, passionate, and engaged team of professionals, this agency is fully-equipped to execute the right strategy for you to reach your goals. Regex SEO offers outstanding, customized campaigns and services, utilizing cutting-edge technology, innovative practices, and comprehensive reporting. If you’re looking for a Houston SEO expert agency that also provides a flawless customer experience, this is it. Since 1999, eWeb Results has been delivering amazing marketing results backed up by the team’s Houston SEO expert knowledge and proficiency. The company’s results-based strategies help businesses meet their goals and get a high ROI. MARION is a Houston marketing agency that offers full-service marketing to complement or replace your internal marketing team. Our expert team includes graphic designers, and seasoned marketing strategists that can help get you found by the right customers at the right time. Versa Creative covers all areas of digital and traditional marketing. The diverse team employs an elaborated research process that offers efficient strategies and essential marketing data to help clients stay on track with both short-term and long-term goals. Actual SEO Media encompasses unprecedented skills and expertise to get its clients’ websites ranked. The company takes a proven strategic approach and executes strategies fast, following only white-hat techniques to get business on the right track. SERP Matrix truly values its clients and prides itself on providing quality internet marketing solutions for a a wide range of companies. SERP Matrix has developed a comprehensive web package that includes all the necessary steps to achieving a competitively dominant online presence. As one of the best SEO companies in Houston, Fair Marketing offers forefront tools and marketing strategies, taking a proprietary scientific approach that ensures a high ROI. This winning methodology is developed and executed in house by a team of field experts who are dedicated to success. Dedicated to helping clients reach their full online potential, Forthea combines creative marketing techniques, outstanding customer service, and unsurpassed professionalism. Their smart campaigns deliver measurable results backed up by constant reporting and total transparency. Houston SEO Plus offers a variety of services and strategies to help businesses reach their target consumer and improve their chances of converting more leads to sales. What’s more, this company has competitive pricing, and it’s strongly focused on maximizing clients’ financial success. SEO Houston Pros does SEO like no other firm. The team of experts capitalizes every aspect of a client’s online marketing with the ultimate goal of dominating the competition. Their creative solutions leverage the client’s existing website to drive leads and provide a huge ROI. One of the best Houston SEO companies, Astoundz is focused on developing beautiful, search-optimized websites. Their services include savvy techniques that drive traffic and help clients grow their business. The reliable team is available for daily communication and support. Headquartered in India with an office in Houston, TX, Arihant Webtech provides affordable SEO services across the world. This agency is a perfect blend of web technology specialists and creative web designers who work together to develop user-friendly websites. Oxy Creative excels in building robust websites and providing web marketing. They understand the needs of each business and design campaign to ensure a successful outcome. In addition, they have competitive pricing and a skilled team that’s just an email away. Encompassing expertise and diverse management, SEO411 offers outstanding SEO services in Houston for both small and midsized businesses. It works alongside clients to develop, host, and rank websites, providing turnkey web solutions. The huge funding potential, a talented and educated workforce, and some amazing entrepreneurship programs are a few of the reasons new ventures choose Houston for their base. The Magnolia City ranks #4 among the US metro areas in Fortune 500 headquarters, but it’s also one of the top metro areas for startups according to the Kauffman Foundation. According to Chron, there were 92.6 startups for every 1,000 firms in 2018, most of which were started in the tech sector, or have close ties with the energy, gas and oil, and healthcare industries. What’s more, this Texas city is home to the most diverse population in the US. Pair that with the affordable living costs and the prevalence of startup incubators, and you’ll understand why Houston is the most appealing city for minority entrepreneurs. According to Expert Market research, more than 40% of the metro area businesses are minority owned. Houston is an incredibly business-friendly city. In fact, it ranks at #2 on the Small Biz Trends list of the 30 Top Cities for Small Businesses, with more than 68,036. Not surprisingly, business owners consider it a place where businesses boom and recede on a daily basis. It’s fairly difficult to emerge as an industry leader, which calls for a good Houston SEO provider that will be able to take you in front of the right audience. According to Houston.org, there are more than 500 digital technology companies, and 16.9% of the digital tech firms specialize in healthcare. In the following section, you will discover the best agencies in three main categories: local SEO, e-commerce SEO, and digital marketing. Boasting a combined experience of 25 years, MD Media is a leading SEO Houston agency focused on getting results that enhance a client’s online presence. Apart from its cutting-edge strategies, it offers full transparency, as well as bi-weekly reporting. Founded to focus on getting results for clients, Spartan Digital takes a multichannel marketing approach to create efficient and targeted campaigns for businesses in a variety of industries. The passionate team ensures 100% quality of outputs and total transparency. The WHO team excels in SEO for Houston, TX. They thrive on digital media changes and monitor trends to create a long-term strategy and offer the best performance tools. Their unique approach is built to drive conversions and grow clients’ businesses. Hyperlinks Media is a Houston SEO company that develops customized, appealing, and user-friendly web designs combined with the best services to increase traffic and generate leads that convert into sales. The company has received multiple accolades for its excellence and professionalism in the industry. This full-service marketing company is focused on creating leads for clients using directories such as Google, Yelp, and Yahoo, thus helping businesses boost their profitability and expand their business. The group of SEO specialists offers a proactive approach and regular progress updates. Informatics Commerce is a professional agency that provides high-quality services and prime e-commerce consulting. The qualified team executes comprehensive solutions that seamlessly integrate the unique e-commerce needs of every client. eBusiness Xperts designs web and marketing solutions according to their Web Department model, which is successfully applied to a vast number of clients across all verticals. The company has evolved from a local e-commerce SEO provider to a full-service e-commerce marketing agency. Specializing in e-commerce development projects, Web Sales is one of the best Houston SEO companies that offers a wide variety of web solutions that are executed professionally, quickly, and inexpensively. Apart from creating an appealing web design, they employ the best SEO practices to help clients rank better.